Benjamin Fernandez is a journalist. 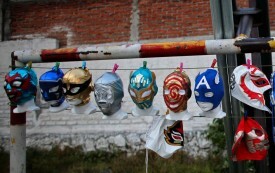 Lucha libre is a stylized struggle between good and evil that has been part of Mexican popular culture since the 1920s. Now its appeal has spread to North America and Japan.